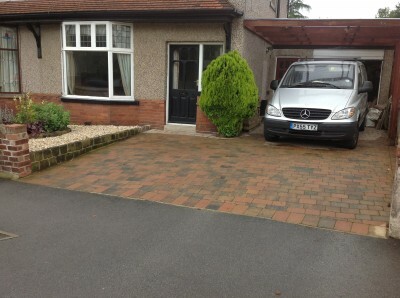 With Matt the builder on board, we are more than happy to look at doing block stone driveways and I thought it would be a good idea to show some pictures of driveways he has done. The terracotta setts driveway is mine. It’s been down for a couple of years now and there is no indication of anything having been parked on it and, as you can see, I drive a big van which is often carrying a lot of weight. 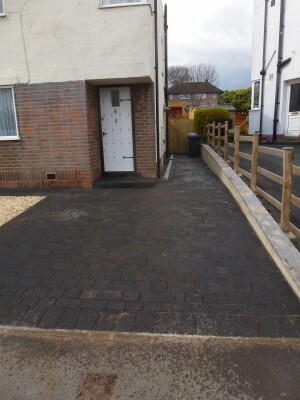 I say this because I am amazed at how often you see driveways that have sunk where cars have parked because the groundwork has been done poorly before the blocks are laid. While we would welcome the opportunity to provide a quote for a new drive, please don’t ask us to correct one that’s been put down badly in the first place. That really isn’t a fun job!